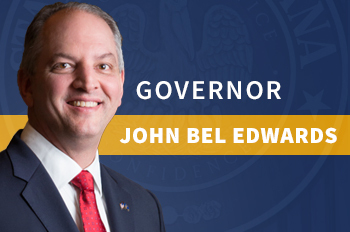 The Louisiana Governor's Office of Elderly Affairs (GOEA) was created in 1956 as the Commission on Aging by the Louisiana Legislature to act as the state's visible advocate and focal point for all matters pertaining to the aging population. Legislation enacted in 1995 mandated that as far as practical and consistent with the efficient administration of state government, programs and services for the elderly population of Louisiana would eventually be consolidated within the GOEA. Further, it was the intent of the Legislature that the GOEA administer all federal funds appropriated, allocated, or otherwise made available to the state for services to the elderly. Since 1964, GOEA developed an extensive network of quasi-governmental agencies recognized as the Aging Service Network. This network consists of the 64 Parish Councils on Aging (COA), 36 Area Agencies on Aging (AAA), 139 Senior Centers, University Centers, Advocacy and Service Organizations, the Senior Corps (Foster Grandparents, Senior Companion, Retired Senior Volunteer Program), the state Senior Employment Program (Title V). GOEA also networks with local community service organizations, volunteers, and a wide variety, programs and services dedicated to supporting its mission. GOEA is the administrator of the Older Americans Act (OAA) program services: Congregate Meals, Home Delivered Meals, Nutrition Counseling Nutrition Education, Assisted Transportation, Information & Assistance, Outreach, Medical Transportation, Adult Day Health Care, Case Management, Group Respite, In-Home Respite, Individual Counseling, Material Aid, Personal Care, Caregiver Public Education, Caregiver Sitter Service, Support Group, Counseling, Crime Prevention, Homemaker, Legal Assistance, Medical Alert, Medication Management, Recreation, Companion Care, Telephoning, Utility Assistance, Visiting, and Wellness. Other services provided through GOEA are Elderly Protective Services, Long Term Care Ombudsman, Aging and Disability Resource Centers (ADRC), SenioRx Prescription Assistance, National Family Caregiver Support, Community Living Program, Alzheimer's disease Supportive Services Program and the Senior Employment. GOEA is currently planning provider agreements to begin implementing the Veterans Directed Home and Community Based Services Program through a partnership with GOEA, the ADRCs and COAs and the Federal Veterans Health Administration. GOEA collects facts, statistics, and conducts special studies on conditions pertaining to the employment, health, financial status, recreation, social adjustment, or other conditions affecting the welfare of the aged. This information helps the agency to keep abreast of the latest developments in aging throughout the nation and interpret such findings to the public. GOEA also provide a mutual exchange of ideas and information on national, state, and local levels. GOEA makes recommendations to the Governor and the Legislature regarding improvements and additional resources to promote the welfare of the aging in the state. GOEA coordinate the services of all state agencies serving the elderly and receive reports from these agencies and institutions as requested. GOEA exercise the functions of the state relative to nutrition programs for the elderly and disabled citizens of Louisiana. Additionally, perform the functions of the state which are designed to meet the social and community needs of Louisiana residents sixty years of age or older. GOEA administer all (with certain exceptions) federal funds appropriated, allocated, or otherwise made available to the state for services to the elderly, whether by block grant or in any other form. GOEA approves recommendations from any parish voluntary council on aging prior to the creation of any new state-funded senior center in the state. In accordance with Senate Concurrent Resolution No. 48 of the 2017 Regular Session, the following information is provided regarding this leased space: 12,518 sq. ft leased from Hearin Properties at an annual cost of $182,146 with no underutilized space. In accordance with Senate Concurrent Resolution No. 48 of the 2017 Regular Session, the following information is provided regarding this leased space: 442 sq. ft leased from Hertz Lake Charles One, LLA at an annual cost of $8,640 with no underutilized space.